These babies should rank high on any wishlist. 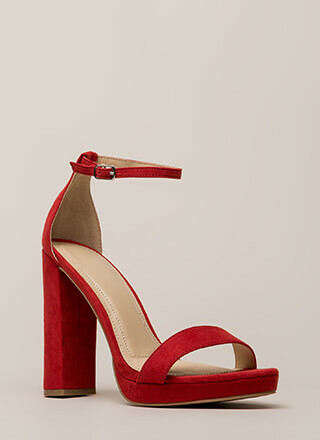 Chunky, metallic, peep-toe vegan leather heels feature a skinny ankle strap with an adjustable buckle, a super thick platform, and four knotted, woven toe straps for a braided look. Shoes are finished with an exposed heel and a ridged sole.